Tim Bucher is senior vice president of Seagate‘s Consumer Group. Prior to joining Seagate, Tim was the founder and CEO of Lyve Minds, Inc., a Silicon Valley startup focused on helping consumers manage their digital memories. 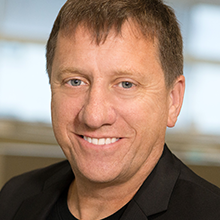 Over the past 30 years, Tim has created several successful companies in consumer products, storage technology, cloud services, and IoT and has helped tech giants such as Apple, Microsoft, and Dell drive consumer innovation and expand their businesses. Tim was founder and CEO of ZING Systems, Mirra, Inc. (purchased by Seagate in 2005), and TastingRoom.com. Before starting ZING Systems, Tim served as Senior Vice President of Engineering at Apple Computer, where he oversaw the development of all Macintosh and iPod technologies. He was also vice president of Consumer Products for Microsoft and vice president of Engineering and Operations for WebTV Networks (acquired by Microsoft in 1997). Tim was part of the founding Xbox team at Microsoft and a lead architect with gaming systems pioneer The 3DO Company. He also worked as an engineering director at NeXT Computer (acquired by Apple) and lead engineer in the 80’s on several advanced workstations at Sun Microsystems (now part of Oracle). Tim holds numerous patents in networking technology, user interface design, computer and processor design, graphics technology, on-line customer acquisition algorithms, manufacturing processes, and multimedia technologies.